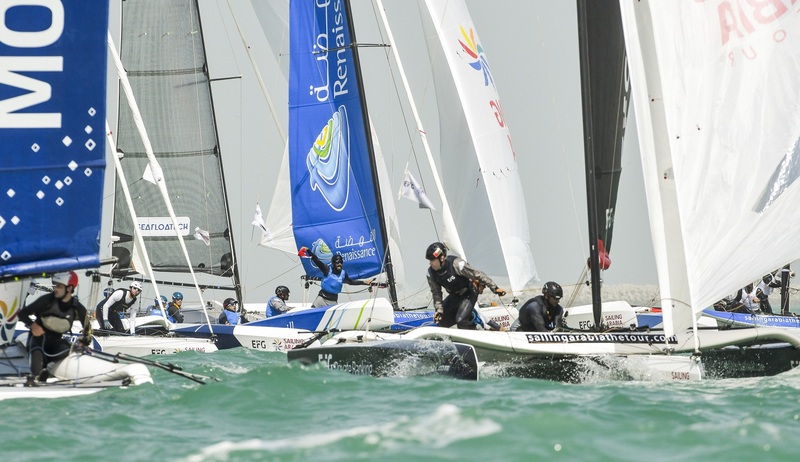 Muscat, February 14th 2019: EFG Sailing Arabia – The Tour returned to the cut and thrust of intensive Stadium racing in Duqm on Wednesday, with the impressive port’s inner harbour the arena for five high-speed encounters between the international teams. 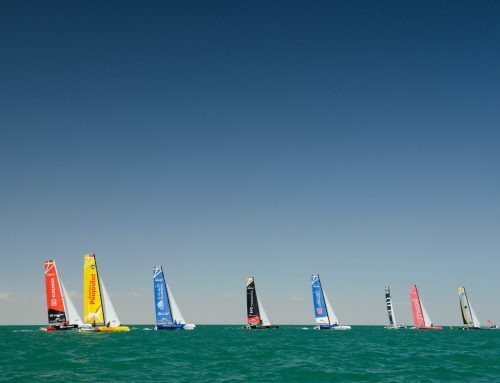 A solid breeze of up to 24 knots powered the Diam 24 trimarans around the tight courses, with four different winners again highlighting the competitive nature of the world-class fleet. At the end of play honours went to the distinctive yellow liveried Cheminées Poujoulat entry, with a supremely consistent performance that included a race win and three other podium places on a day that saw five teams black-flagged for early starts, each earning a heavy points penalty. Their result moves the Bernard Stamm managed team up to second overall, with thoughts now turning to the two-day finale in Salalah which will feature both a Raid and then a last burst of Stadium racing. 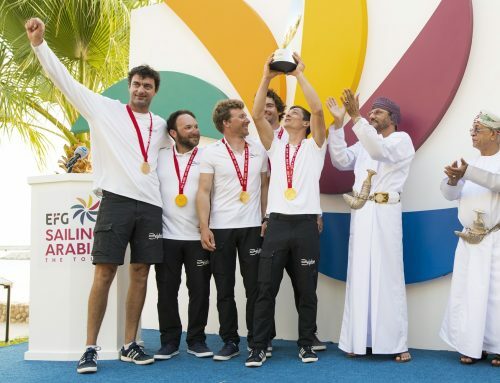 Second place on Duqm’s final day went to the Golfe du Morbihan team, who bounced back after having to retire from Tuesday’s coastal Raid. 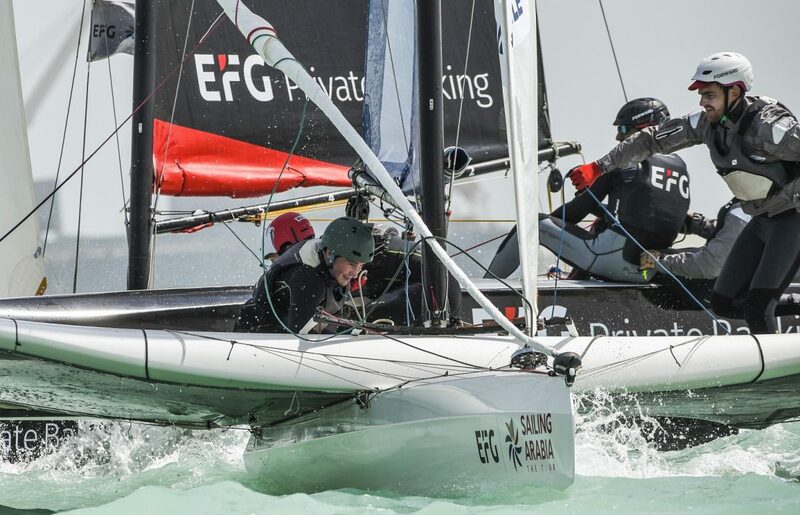 Two race wins around the harbour helped them stay in sixth place overall, but able to close the gap on the Mood team who are just ahead, and stretch their lead on EFG Bank. 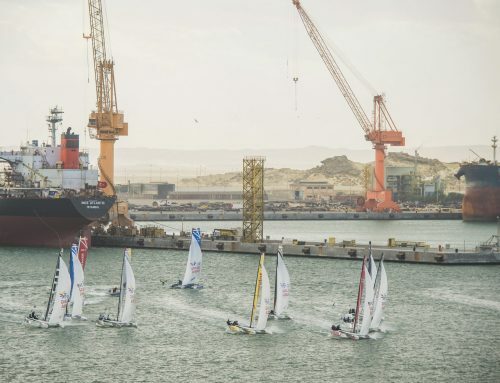 “It was a pretty windy day and we had a good fight with Cheminées Poujoulat,” said skipper Solune Robert. 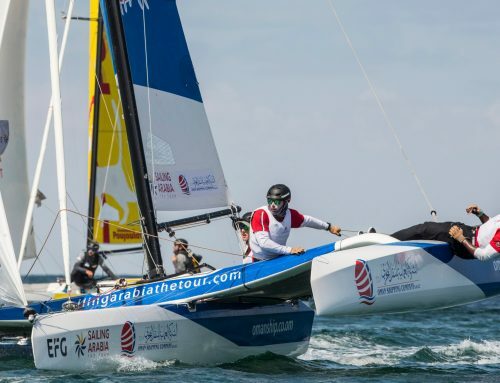 Defending 2018 Sailing Arabia champions Beijaflore hold an overall lead going into Salalah, but a repeat of their sixth place performance in the Muscat offshore Raid could see it quickly evaporate. 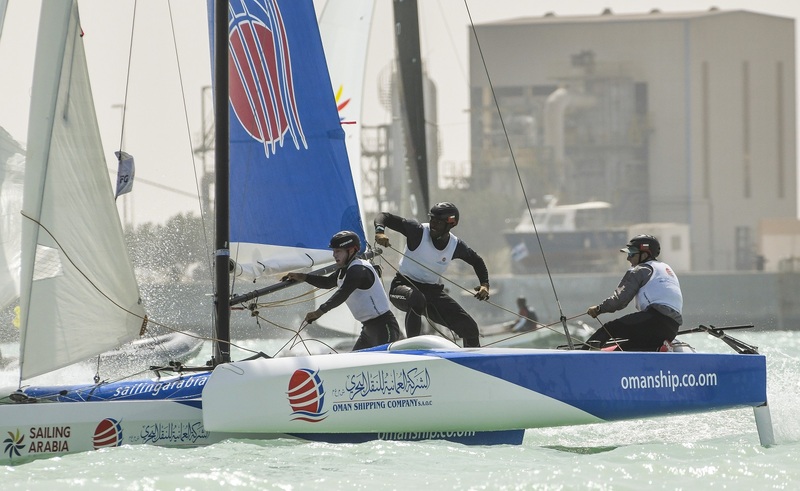 Despite a win in the final race of the day Seaflotech have slipped to third overall, with a narrow lead over Oman Shipping Company – both teams having collected black flag penalties in the opening race. CER Geneva took three thirds to end the day fifth, but still eighth on the overall leaderboard ahead of Renaissance and DB Schenker. 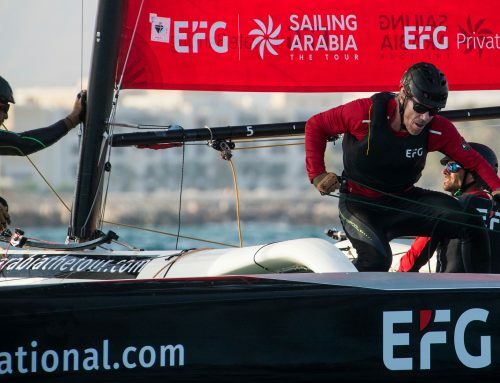 The EFG Sailing Arabia – The Tour fleet now faces a 600 km relocation to Salalah on Thursday, and preparation for the all-important coastal race on Friday.